The Rodale Institute’s Organic Pioneer Awards honor a (1) farmer, (2) research scientist, and (3) business who are leading the good food movement towards an organic planet. This year a third-generation farmer, David Mas Masumoto who grows organic peaches, nectarines and grapes for raisins on the 80-acre Masumoto Family Farm, south of Fresno, California, received the honor from the Rodale Institute. Farmer Masumoto in accepting the award noted that he was honored to be part of the Rodale family of pioneers as we all work to build a healthy world and that he shared the award with all those who have worked the soil and organic peaches, nectarines and raisin grapes on our family farm, including all the life above and below the ground—I live in their shadow of wisdom and excellence. The scientist who was this year’s recipient of the Rodale Institute’s Organic Pioneer Award, William Liebhardt, is a soil scientist, dedicated to understanding various farming systems and their impact on soil fertility. Mr. Liebhardt is a former Director of Research at Rodale Insitute and the former director of the Sustainable Agriculture Research and Education Program at the University of California, Davis. The business which received the 2018 Organic Pioneer Award was Nature’s Path (based in Richmond, British Columbia). Nature’s Path utilizes 5,500 acres of regenerative Canadian farmland (near Duck Mountain in Saskatchewan), has earned Zero Waste Certification for all three of its factories (including one near Milwaukee, Wisconsin), and continues to advocate for agricultural practices that go beyond the United States Department of Agriculture (USDA) Certified Organic standard. The company’s founder and co-CEO, Arran Stephens has helped shepherd the growth of the organic movement for more than 50 years. Mas Masumoto has been recognized before for his remarkable accomplishments: in 2013, as the author of nearly a dozen books, he was appointed by President Obama to the National Council on the Arts. And on learning about these awards by the Rodale Institute, this organic and local food advocate decided to search his local library’s catalog for books written by Mas Masumoto, a name that was only slightly familiar to an upstate New Yorker, 3000 miles from the agricultural riches of California. A major civic enrichment for my hometown of Albany, NY is the remarkable and well-used Albany Public Library with its six branch libraries and a main library spread around a small city of 100,000. An electronic search on-line of the library’s catalog, showed the availability of three books by Mas Masumoto: The Perfect Peach: recipes and stories from the Masumoto family farm (2013); Wisdom of the Last Farmer: harvesting legacies from the land (2009); and Four Seasons in Five Senses: things worth savoring (2003). The decision to borrow The Perfect Peach from the Albany library became a wonderful serendipity. A culinary enrichment offered by the small city of Albany is the Honest Weight Food Co-op. 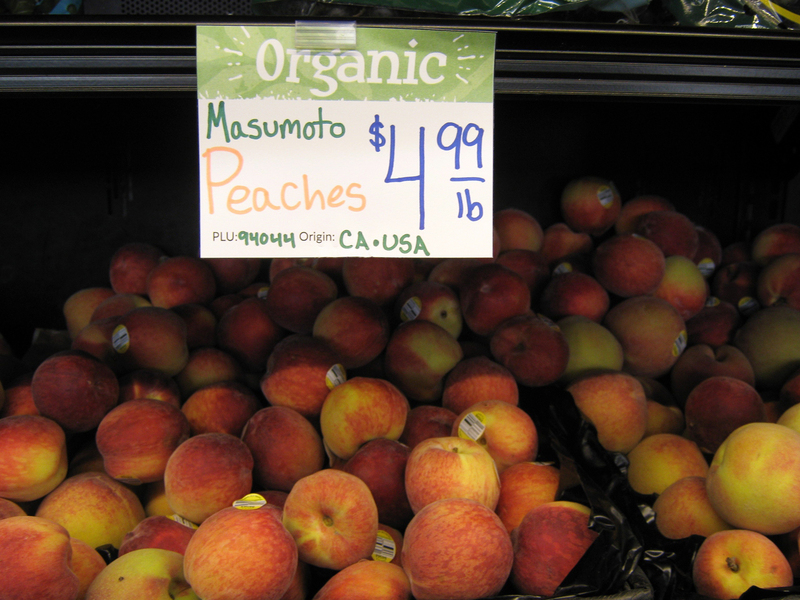 A stop at the Honest Weight Food Co-op’s produce department on the way home from the library made for a shock for this peach lover to see Masumoto peaches for sale. Coincidence or fate, whatever, $15.00 worth of the peaches found their way into the shopping cart. Cold and hard, I put faith in their tastiness with some ripening up on the kitchen counter. Voila! A couple days later, the pleasure of a delicious and organic peach. With peaches ranked number six on the Environmental Working Group’s Dirty 12 conventional fruits and vegetables to avoid, it was beyond wonderful that my hometown food co-op was stocked with the Masumoto peaches and there would be the sweet juiciness of organic peaches to enjoy in the days ahead. 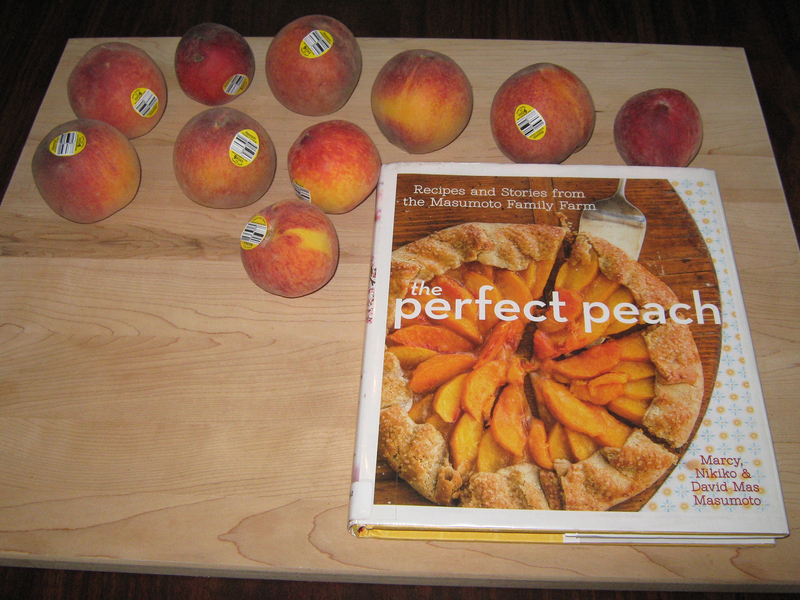 And with Mas Masumoto’s The Perfect Peach borrowed from the local library, a delicious peach recipe will be tried before too much longer. 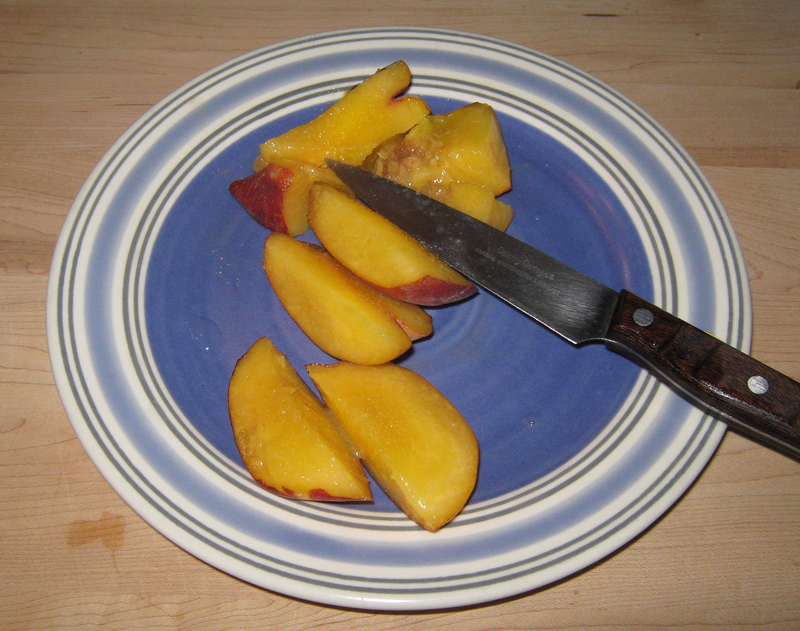 There’s some slight dissonance in enjoying an organic peach from 3,000 miles away. 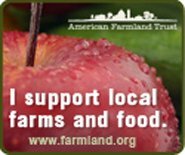 But with the weekly deliveries of a CSA farm share from Roxbury Farm in Kinderhook (Columbia County), NY, a few miles south of Albany, under way for the season, no guilty feelings for this exception to the principle of eating organic and local. As a footnote, on this website, which promotes local and organic, with a spotlight shining on CSA farms, we also offer directories for organic and fair-traded tropical foods (coffee, tea and chocolate) that are sourced from afar.